Why is the VENUE | S6L the mother of all consoles? 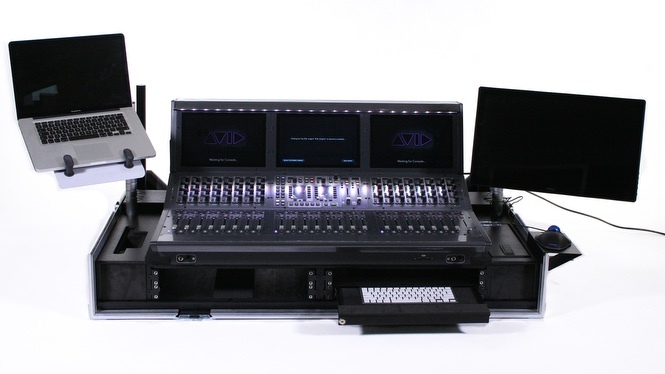 The latest large-format console to hit the market is Avid’s VENUE | S6L live mixing console. Touted as being revolutionary when it comes to live sound workflows, it has already been adopted quickly by the foremost live sound engineers working with leading bands around the world. The system is designed to meet the demands of any type of live gig with its E6L-144 engine and Avid’s popular and critically-acclaimed VENUE software. The console’s processing power supports system scalability, seamless Pro Tools integration, and onboard plug-ins — with channel counts into the hundreds. The control surface is sleek and hardy with 24-faders, a centralized multi-touchscreen and customizable workflow to deliver a cutting edge live-mixing experience. No matter what PA live sound engineers already use, the VENUE | S6L can be integrated into it and configured using a choice of industry-standard networking and I/O components. Another noteworthy aspect of the S6L is the continuity that it offers from the Profile along with the extended and augmented features and functions. 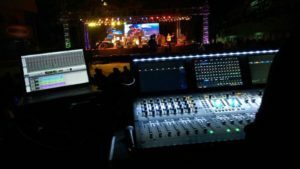 No matter what the needs of the live mixing production, a workflow can be customized because the console is highly adaptable. 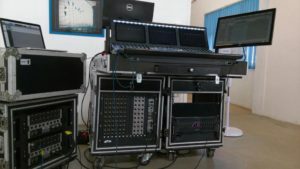 The console is ideal when it comes to streamlining the speed at which the live sound engineer is required to work at in a specific live environment, especially since this aspect is unique to every production. For instance, during a line check one can quickly go to input mode and get the inputs quickly, and if output buses need to be checked. one can go to output and layout, and then custom layouts can be associated with the snapshots. The S6L utilises the standard three-piece architecture of control surface, engine and I/O unit. For engineers who work in live production, access to information is everything and the S6L delivers when it comes to this. Visual contribution from the console puts a live sound engineer in touch with what he is doing. The S6L has revolutionized this, with features like the scribble strips on the channel faders that give quick access to all safe modes – bank safe, automation safe – for essential visual feedback. The variety of function switches has brought a whole new aspect into the live scenario across many platforms – Avid was the pioneer implementing it seamlessly with Profile, and has continued to do so with S6L. The plug-ins were on the DSP of the Profile, so no third party hardware or additional I/O was required. With the new features, workflow and expanded technology, that has been integrated into the S6L. The S6L-32D console has four 12.1 inch daylight visible touch screens; three 32-knob rotary encoder banks, each with high-resolution OLEDs and tri-color function indicator; a Master Live Module (MLM) including graphic TFTs with soft buttons; Touch and Turn assignable encoder; two assignable faders; monitoring, layout and snapshot controls; transport controls and function buttons; and four banks of eight faders. It also has 96K sample rate, 192 input channels, 96 mix buses plus L, C & R and a 24 x 24 output matrix. It also has Pro Tools recording capability and playback from those tracks no longer require rebooting the console. The large external HD touch screen monitor can be deployed via a swing-arm on either side of the console surface. This display maintains the continuity with the past operating system. The tabs placed along the top of the screen present the same navigational roadmap that VENUE users are accustomed to using in order to gain access to the various blocks of the console’s architecture. Each of the eight tabs leads to a screen displaying a selected individual input or output, or it takes the user to the areas from which the console is structured, populated or specifically customized. It is familiar enough that users will be able to transition easily because the Patchbay, Snapshots and Plug-ins pages are nearly unchanged from older versions. Improved graphics, new data entry window locations and new drop-down window locations are the most noticeable revisions. The Filing page has a brilliant innovation. Show files created in earlier versions of VENUE software have not been rendered obsolete. The data from the older operating systems can be read and employed by the S6L. From head amp information, equalizer settings, aux sends assignments, VCA assignments, outputs, snapshots, to mute groups, and more, it will all be there and ready to be customized to employ the new control surface. This is of immense value for all Avid users. 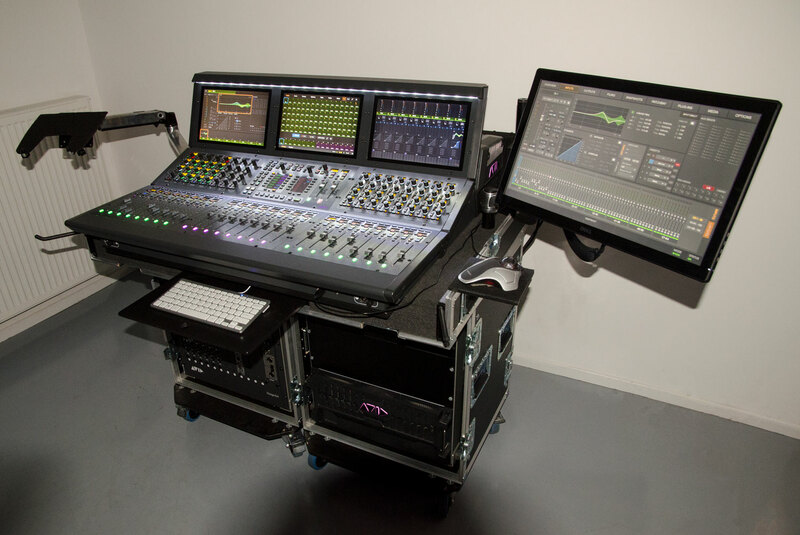 With its pioneering levels of configurability, Avid’s VENUE | S6L live mixing console is surely here to stay. 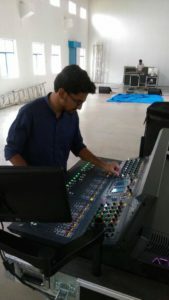 Its unique mix of familiar functions and neat new features make it a technological leap forward for live sound productions. At Audio Academy we work with Live Sound Engineers from the industry and ensure your are mentored throughout the process while you pursue our Recording Arts & Live Sound course. From real world projects to assisting a producer on commercial assignments we see you through it all. We’d be open for a detailed chat over a cup of tea at our office where you will also get to interact with faculty, and students to get a better understanding of whether this really is your calling.